The substance in red meat (beef, lamb) is called l-carnitine, and as certain bacteria in the gut break it down, they produce a substance (a waste product!) called TMAO, which is known to harden arteries (atherosclerosis). So higher levels of carnitine meant increased risks for both cardiovascular disease and major cardiac events, such as heart attack and stroke, but only among people with high levels of TMAO. This association between TMAO and cardiovascular disease was independent of participants' smoking frequency or levels of cholesterol and blood pressure. While carnitine levels are by far highest in red meat, the compound is also found naturally in fish, poultry, and dairy products. 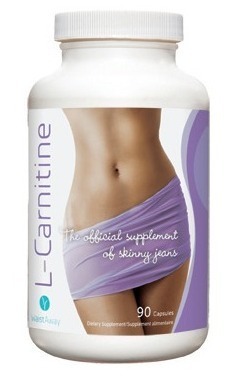 It is also an over-the-counter dietary supplement that is taken to boost energy and build muscle. The caveat for carnivores (Paleo Diet proponents and those taking the supplement should pay attention here) is that these bacteria are common in the intestines of consistent meat-eaters but not of vegetarians. So if vegetarian suddenly eats a steak or otherwise consumes l-carnitine, his/her levels of the TMAO substance in the blood don't rise like they do among meat-eaters. Why the difference? The vegetarian volunteers in this study had different microbes in their guts than the meat-eating volunteers. Over time, you (and your microbes) are, in fact, what you eat: eating red meat alters the composition of the microbes in your gut to a community that likes meat as much as you do. really random caption -- plant humor? So, yes, we are back talking about diet, but suddenly, the rules have changed since the last post. These new findings present a caveat for Paleo diet proponents, particularly folks making red meat a consistent and major part of their diet. 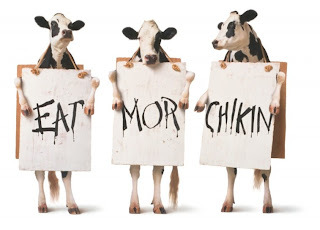 The study is not conclusive; processed meat seems to be a bigger culprit than a lean steak. Nevertheless, it identifies a mechanism (the meat-adjusted bacteria!) 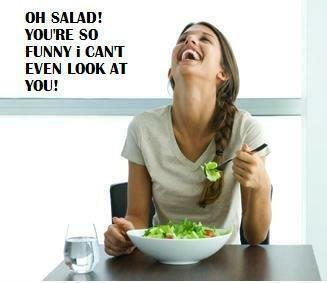 through which our diet may influence our susceptibility to disease and, thus, our long-term health. In fact, a 2009 study by the same research team found that the metabolism by human and mouse gut microbes of choline, a fat chemical found in meat and dairy products, also led to clogging of arteries and higher risk of cardiovascular disease. Most of us eat at least some plant products and some meat. 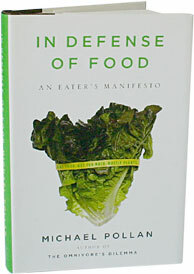 I'd heartily recommend a book by Michael Pollan called In Defense of Food. In it, Pollan defines "food" as the sort of food that our great grandmothers would recognize as food, rather than the processed, sometimes unrecognizable products in many supermarkets. His suggestion regarding what to eat? Eat food. Not too much. Mostly plants. This could be applied to most of the diets on the market, from hunter-gather Paleo to Mediterranean to Weight Watchers to low-carb South Beach to low-fat to vegetarian. In all cases, the main aims of the diet can be met while choosing lower on the red meat and higher on the nuts, plants, and, for non-vegetarians, fish. So whether you are a carnivore, an herbivore, or an omnivore, retaining the focus on actual food but eating "mostly plants" might promote both long and short term health. I'm primarily an herbivore, but even Paleo hunters apparently ate their fair share of roots, tubers, berries, shoots, and other plant-based foods. What is your diet strategy? The findings of this study were highlighted in the media - you can read more about the meat-eating experiments here and here. To hear it straight from the source, you can read Nature's release about the study or the original paper in Nature Medicine. For a 2012 scientific paper from the American Heart Association that makes a clear association with processed meat but not regular red meat, have a look here.